Many companies in the healthcare industry are still trying to figure out their basic cloud strategies, while enterprise-sized corporations have moved to the next level – a multi-cloud strategy. The terms multi-cloud and hybrid may be used interchangeably, but they are not the same thing. A hybrid cloud is a cloud that uses more than one type of infrastructure solution, such as private and public clouds. A multi-cloud strategy uses different cloud infrastructures from different providers. If company A has a public and private hybrid infrastructure from provider X, then it is just a hybrid. However, if the same company is using a private cloud from provider X, and a public cloud from provider Y, then the company is using a multi-cloud strategy. Why would companies want multiple cloud service providers? Should hospitals consider multi-cloud strategies? Dark data and well as used data may need to be stored in different locations. When considering architectural strategies, do not think that cloud infrastructures need to be the same, or that they even need to be from the same cloud service provider. Instead, think of providers that fit your specific needs. 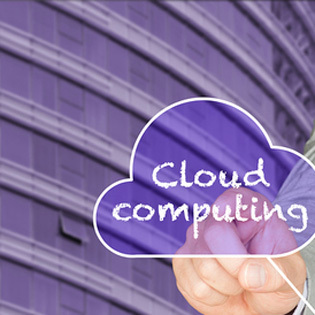 Different providers are experts in certain areas of cloud computing. If one provider specializes in healthcare data security, then you may want to consider them for your private cloud environment. Other providers may be experts in virtualization and application flexibility for websites; consider one of them for your public cloud infrastructure. Find the provider that fits your healthcare needs, and go with them, even if there are multiple providers across multiple cloud architectures. This is the multi-cloud strategy. This is where things can get a bit tricky. It is best to have a single cloud management platform (CMP) to manage all your cloud management needs. The “single pane of glass” concept is one that many cloud software providers pitch to get healthcare facilities to buy their products, and for good reason. It is much easier for the IT department if they can watch all cloud data flows, alerts, and data transfers from a single control panel. Look around. There are providers that offer the “single pane of glass” management system to connect your multiple cloud infrastructures. According to the report Collaborative and Secure Sharing of Healthcare Data in Multi-Clouds “In [multi-cloud] architecture, medical records are created, maintained and retrieved by authorized users in cooperating health centers…Mediating multi-cloud proxies will distribute and retrieve encrypted medical records to and from multiple data clouds in parallel.” This parallel switching keeps the data transferred across multiple cloud networks, which helps with HIPAA compliance, security, and data longevity. Download our cloud report, and learn the facts every business executive must know before moving their network to the cloud. Applications and their needs – Applications can often come back to bite the best IT professionals. Make sure to break down the needs of the applications, such as its bandwidth, does it require video or voice services, is the application connected to a virtual portal, how much resources are needed on the server to run all the applications at the same time? Security – This area includes protecting against hackers, HIPAA regulations, company protocols, and managing user access. Training – Training may not be considered in day-to-day operations. Many in the healthcare industry will only train once a month. This time is an extra load on the servers, and if the organization is enterprise-level, then training can bring servers to a crawl. Automation – Define ahead of time what protocols and duties can be automated. Automation is great, but there always needs to be a human element involved. Define your needs and pass it around to other departments to see what areas can be automated, and what areas need a human to watch over it. When considering all the possibility for your cloud infrastructure you can use all the help you can get. Think of a scenario where you have multiple data backups, but they are all with the same cloud service provider. One day that provider goes out of business, and you receive an email stating you have seven days to move your data to another provider. This is not common, but it has happened, and in some cases there is no warning. To protect your data you need to make sure the data is stored in the data center, at a branch or home office location, and in a multi-cloud environment that is connected to at least two or more cloud service providers. The multi-cloud strategy is becoming more popular in hospitals and enterprise-level corporations. As data floods data centers, and more cloud service providers appear and disappear, it is important to find providers that have been around a while. It is imperative to have more than one provider to protect your data, a provider to meet ALL the individual needs of the hospital environment, and providers that can offer a CMP to manage all your cloud technologies via a single viewing environment. Get a free assessment now and let TOSS C3 show you the advantages of multi-cloud networking.